Deciding between ‘boho chic’ or ‘classic romance’ can be a hard enough decision when it comes to wedding planning. However, couples nowadays are faced with a much bigger conundrum: The Wedding Hashtag! Over 55% of couples incorporate a hashtag into their big day, so here’s how to choose yours. The last thing you want is for the photos of your big day to get mixed in with someone else’s. Make sure to check the social-sphere to check it hasn’t already been taken. Once you have decided on the perfect hashtag make sure to ‘announce it to the world’! Include it on the save the dates, invitations or even cocktail napkins so everyone can get tagging and tweeting those photos! Get brainstorming with those ideas. Whether you want to include your first, last or nick names, write them all down to get those creative juices flowing. If you’re really struggling you can opt to use a wedding hash tag generator… yes, these things do exist. Wedding Hash Tag Wall is a popular one. Don’t make it too complicated. Steer clear of words that can be easily misspelled. If guests are confused and not sure what it is they are likely to use the wrong one AKA: bride’s worst nightmare. 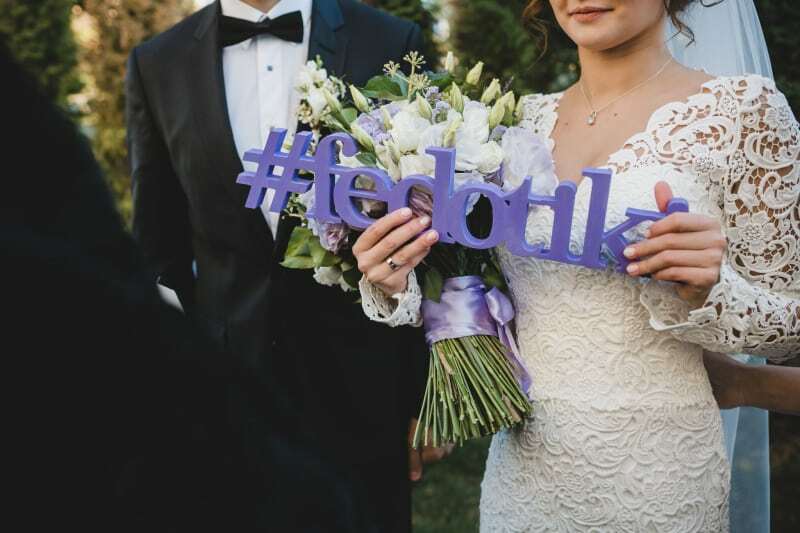 What hashtag have you decided on for your big day? Leave a comment below. And while you are busy having your wedding photos taken? Have a read of ways to entertain your wedding guests.